While all eyes are currently on Google’s headquarters in California, the first signs in China are causing trouble for Lenovo and Motorola. Lenovo aggressively challenged Xiaomi in China, and shortly afterwards, a tweet appeared that suggests there could be a merger between their two core business areas. Is Lenovo running out of patience with Motorola? Sometimes you have to rethink decisions you’ve made in the past and adjust to give yourself better chances of success in the future. It seems that Lenovo and Motorola currently find themselves at this kind of crossroads. After Lenovo finally completed the acquisition of Motorola Mobility from Google at the end of October 2014, Lenovo had ambitious goals for the smartphone industry. Lenovo CEO Yang Yuanqing formulated their goal in an interview with the DPA in November 2016: Motorola should again become a top 5 smartphone manufacturer in 2017 and the smartphone division should be back in the black in 2017, after suffering losses over the past few years. Although Motorola sold more smartphones in the last quarter of 2017 and reported a year-to-year increase of 39 percent for 2017 as a whole, with a global market share of 3 percent. It is still only in eighth place among manufacturers, but if you look at the Chinese manufacturers in Huawei, Xiaomi, Oppo, and Vivo in places to 3 to 6, Lenovo definitely cannot be satisfied with their current position. Xiaomi and Oppo are especially putting Lenovo under pressure in the smartphone market this year. Xiaomi will drive international expansion with fresh capital from the upcoming IPO. Oppo looks like it will return to the European smartphone market because LinkedIn already shows the first Oppo employees stationed in Europe. As Oppo belongs to the Chinese BBK Group, which Vivo and OnePlus still belong to, the group is pursuing a three-brand strategy for different markets and target groups. Yang Yuanqing is under pressure, that much is for sure. The PC and notebook market is stagnating, and that’s putting it nicely. Motorola still hasn’t reemerged as a top 5 smartphone manufacturer after three years under the Lenovo flag and even worse, they had to sit back and watch Xiaomi climb into 4th place behind Huawei. Yang Yuanqing needs to react. But how can this be the case? Samsung and Apple are out of reach for Lenovo when it comes to smartphones. Lenovo seems to want to compete with Xiaomi, which is currently in 4th place and experiencing rapid growth. This is understandable, as Xiaomi isn’t only a smartphone brand, but also very active and competitive with Lenovo in many product categories. Smart homes, notebooks, VR & AR, and smartphones are the most obvious product categories in which these two big players are fighting for market share. An early sign of this hostility can already be seen on Weibo, the Chinese micro-blogging platform. The VP of Lenovo Mobile China posted a part of a smartphone, which will offer the highest screen-to-body ratio. The display of this smartphone, which will be soon be launched, should cover a full 95 percent of the front panel. Lenovo challenged Xiaomi quite casually in the final sentence of the post. Prior to joining Lenovo as CEO of Acer, Lanci ranked the Taiwanese manufacturer as number 2 in the PC market. After moving from Acer to Lenovo at the end of 2011, Lanci led Lenovo’s PC division, making Lenovo the number one PC manufacturer ahead of HP and Dell. I attribute Lanci’s two-brand strategy to him in particular. Under his leadership, ThinkPad was transformed into a business notebook series and Lenovo established itself as a brand for the consumer market. So Lanci is also now overseeing the smartphone business. A two-brand strategy for smartphones makes sense for Lenovo and Motorola. Lenovo’s ThinkPad strategy for smartphones as well? This all sounds familiar, since there was a time when Lenovo sold smartphones worldwide, back when there were Motorola smartphones. There was just no defined distinction between Lenovo and Motorola smartphones. This could change under Lanci. 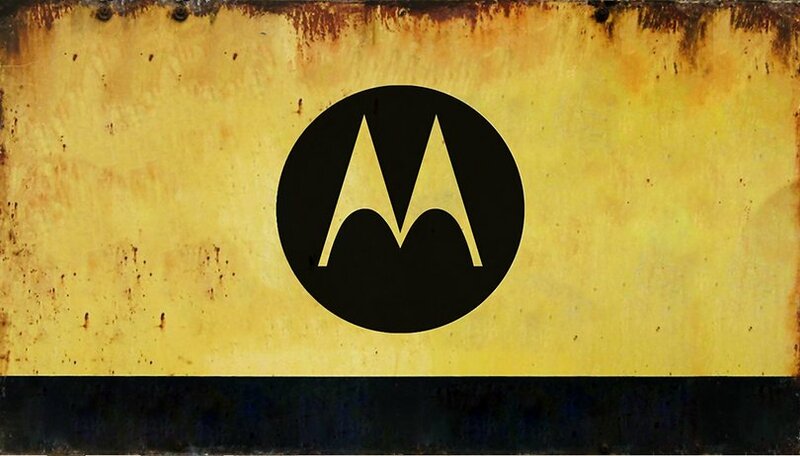 Motorola has a stronghold in South America with entry-level and mid-range smartphones. No wonder that Brazilian Sérgio Buniac is now overseeing Motorola Mobile’s business. Taking Lenovo Mobile’s Chang Cheng’s Weibo post in China into consideration along with Sergio Buniac as the new president of Motorola Mobile and Gianfranco Lanci as head of the new Intelligent Device Group, I’ll dare to take a look at the future of Lenovo and Motorola. There was already a two-brand strategy at Lenovo when it came to smartphones. Even though this wasn’t clearly defined, Lenovo took its place in the low-cost market segment, while Motorola was allowed to let off steam in the luxury class. Within IDG and under the new boss Lanci, I believe the Motorola will now occupy the entry-level to upper mid-range segment with successful products such as the G and E series. Maybe there will still be the X series, but I think the Z series will soon be put to bed. But Lenovo cannot leave the top smartphone market to Huawei, Xiaomi, and BBK with its three brands Oppo, Vivo, and OnePlus, especially since these are also Chinese smartphone brands. If they surrendered to the competition in this market without a fight, they would suffer huge losses and this would likely lead Yang Yuanqing to resign immediately. But he doesn’t intend to do this, so the company will have to grow as quickly as possible in a stagnating PC market, and at the same time compete with Huawei, Xiaomi, and Oppo in the smartphone sector. Of course, I’ve also spoken to Motorola representatives from Motorola about my theory. Lars-Christian Weisswange, General Manager of Lenovo Germany, emphasized the undisputed fact that Motorola has experienced steady growth since the acquisition of Lenovo and wants to remain a full-range supplier of smartphones. New Intelligent Devices Group (IDG): Today, Lenovo announced that our mobile and PC and smart devices businesses would be combined to form a new Intelligent Devices Group (IDG). This new organization will allow us to better optimize our people and financial resources to fully address the consumer devices market and more effectively leverage our global supply chain and other operational efficiencies. We believe closer collaboration and the synergies between these businesses will create powerful end-to-end solutions for consumers. This change does not affect the structure of Motorola, and Sergio Buniac will continue to serve as Motorola President, and as a member of the Lenovo executive management team. Sergio and the entire Motorola team also remain singularly focused on driving profitable and sustainable shareholder growth – building a successful business designing smartphones that millions of consumers around the world love. MBG China Leadership: Today, Lenovo announced the mobile and PC and smart devices businesses would be combined to form a new Intelligent Devices Group (IDG). As part of this announcement Gina Qiao, current SVP China Mobile Business Group, will be taking on a new global leadership role as SVP & Chief Marketing Officer following the retirement of current global CMO David Roman. Edward Chang, current VP of mobile products in China will be acting leader for the China mobile business overall, reporting to Liu Jun – EVP China. In my opinion, Lenovo and Motorola’s smartphone strategy needs to evolve again. There are certainly many ways to achieve this, but in my opinion the two-brand strategy described here would be quite feasible. After all, it doesn’t mean that Motorola will disappear from the scene, but instead that more variety and more choices will remain on the market. Greater competition is also driving manufacturers to surprise us with new, innovative products. What do you think? Should Motorola concentrate on the E, G and X series in the future and ignore the segment of top smartphones for the time being? Are top smartphones with a price tag of over $1,000 still desirable and useful? Isn’t it really enough if we are content with a Moto G6? Let us know what your thoughts and opinions are in comments section! The 2 biggest problem with Motorola are slow OS updates and a confusing product line. They should only have 3 phone series, namely, Z (high), X (mid), and G (low). Within each series, there should only be 2 models. That's it. Keep it simple. My z2 play has been passed down in the family and I upgraded to the z2 force. With a glass screen protector the z2 force is a serious phone. The current pricing is rediculously cheap and the hardware is insane. Ram and storage are both insanely fast and the screen (in combination with shatter shield) is an unmissable feature on a phone. The missing 3.5mm jack is plain stupid, though. The battery life is decent enough for a full day, but a battery mod is a nice extra for geocaching or other intensive work. I also own four other mods. The game controller is very nice for games supporting it. I now play oddworld new 'n tasty that works very well with the controller. The speaker makes good noise and I have the beamer that worked wonders in the tent with a sheet. Downloaded netflix films were enjoyed in the middle of nowhere with the rest of the family. In a dark tent the picture quality was very good. I also have the camera. It has its limitations, but is most certainly usable if utilised in the right conditions. Let's hope that they figure things out and keep on producing great quality phones with an eccentric approach. I think it's sad that Motorola won't upgrade all Moto phones to Oreo. I love my phone the Moto e4 but I would love my Moto e4 even more if it was upgraded to Oreo!! I'd be surprised if Lenovo does away with Motorola because, while Lenovo has great brand recognition and consumer "good will" in PCs, Motorola has better such in phones with a comfort level about quality. Along with patents, that good will was a big element of the purchase. What's irresistible about competing for flagship pricing is the sheer markup for profit, e.g. the 50% to 60% Apple and Samsung get, as opposed to tighter margins over the cost of production for lower priced phones. Sure, flagship features and quality are incrementally better, but nowhere near the retail price gap, except in terms of the professional or personal status (or aspirational satisfaction) in waving it around. Lenovo may want to develop its own flagship / professonal phone brand for that reason, on the basis that Motorola's mid/low tier success actually "cheapens" consumer expectations and lowers margins for its models at the Apple / Samsung top end. I love my Motorola Z2 Play! It is literally the best smartphone I have ever owned (and I do know the difference between 'literally' and 'figuratively'). I left Motorola for Samsung for 5 miserable years, and now I'm back. Hello Moto, I'm back. Motorola has the right mix of features and price. I want Motorola to survive as an entity separate from Lenovo, but I don't know enough to know how to make that happen. Somebody just do it! Same with me, Moto Z2 Play best phone I have owned. Moto phone has no unremovable bloatware and good price / hardware factor. Hope they keep making the G line too.